A heritage 300 years rich. A spirit that treasures taste and honors the expertise of craft. The beauty and pleasure of every moment celebrated through French Art de Vivre. Passion and knowledge passed from generation to generation, creating cognacs enjoyed the world over - from aboard the Orient Express, on intrepid polar expeditions, at royal weddings, to record-breaking with Concorde. 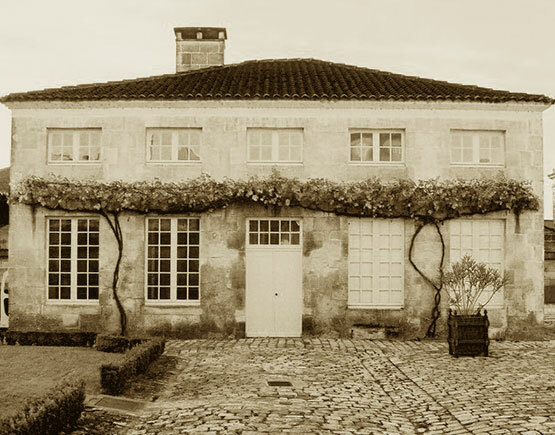 The oldest of the great Cognac houses. 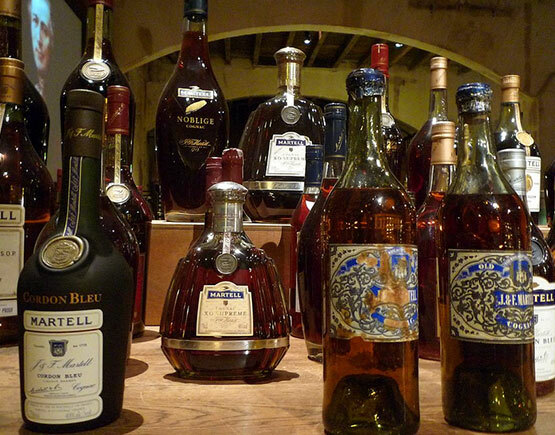 300 years of passion and precision passed down through the Martell family. From generation to generation, a celebration of French Art de Vivre, treasuring the beauty and pleasure of every moment. A rich history honoring craft and taste, with Martell cognacs enjoyed and cherished for three centuries from regal coronations to Hollywood films, intrepid polar expeditions to royal weddings, and far beyond. Place, precision and time. 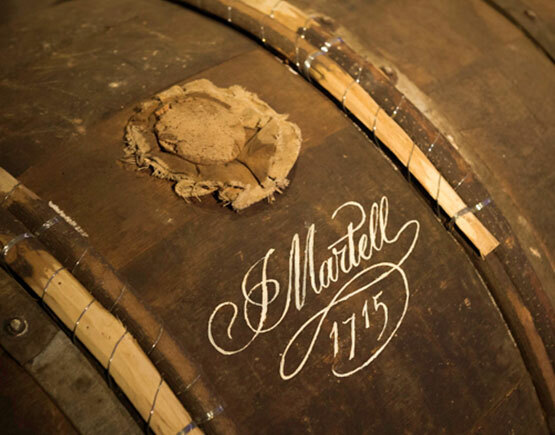 The three great axes of Martell craftsmanship; expertise and emotion passed from hand to hand since 1715. 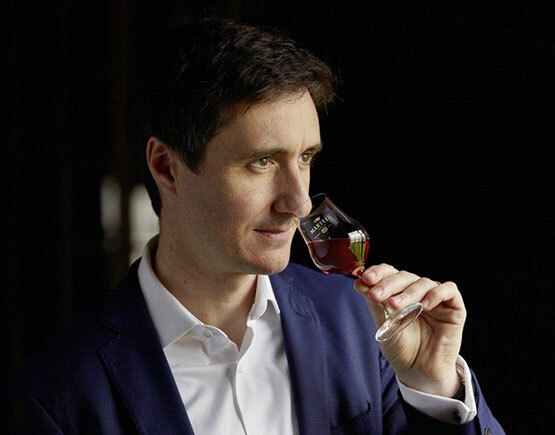 It is Borderies that give the finest Martell cognacs their hallmark elegance and subtlety. 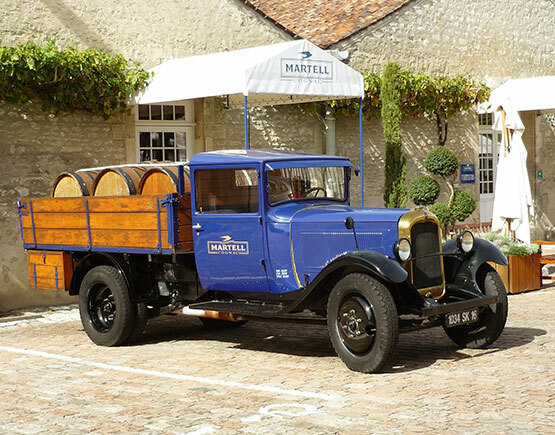 Martell is the only great cognac house to exclusively distill clear wines - a unique method that gives the final cognac a distinctive style. To ensure authentic flavor, traditional copper pot stills are still used to heat the wine. As it simmers away, the vapor rises through the still head, passing through the swan neck and into the coil, where it condenses to form a bright, warm liquor. 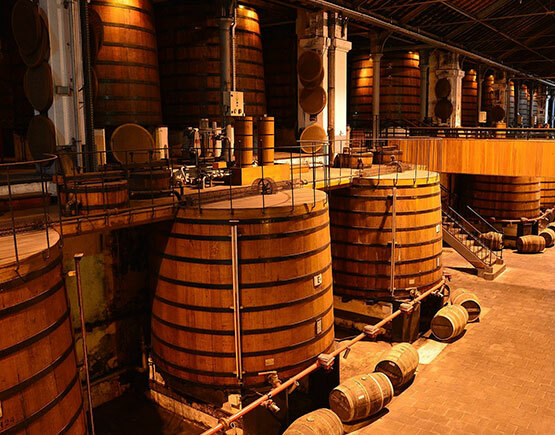 The oak wood used for Martell barrels comes from trees of the Tronçais style. This means that the oaks are planted closer together, leaving less light for each sapling and slowing their growth rate. The result is beautiful grain oak wood, called so since the rings representing growth are more compact. Barrels made from this type of wood give the Eaux-de-vie aged within them a lighter and more delicate woody taste. 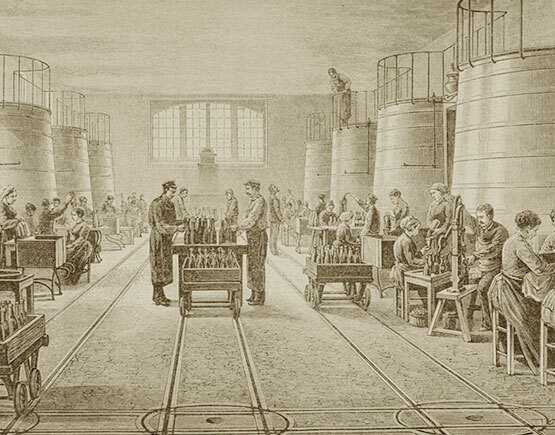 Each eau-de-vie has a unique character, created by the choices made during aging, such as the type of oak barrel used, the length of time left to mature, and from which cru it was cultivated. As a single note in a complex symphony, the Cellar Master must know how to introduce and combine each tone to create a perfect harmony. and from which cru it was cultivated. Like a singular note in a complex symphony, the Cellar Master must know how to introduce and combine each tone to create a perfect harmony. 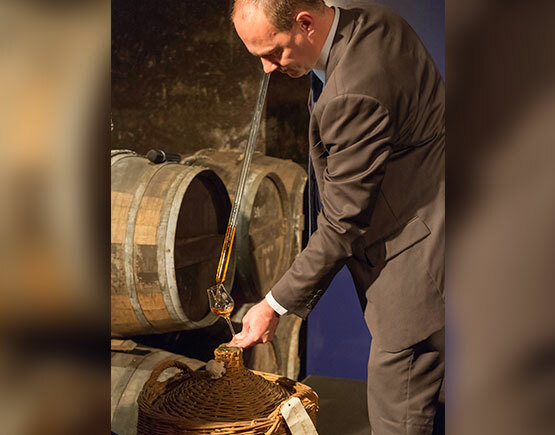 It is the blending process that gives cognac its inimitable, everlasting bouquet. During blending a complex palette of flavours stand before the Cellar Master, from which he must perfectly construct the personality of each product, following the original recipe.